When I sit down to a seafood meal, I don’t want anything on my conscience. I want to know that my fish shellfish isn’t endangered, or in some other way, damaging the environment. Fortunately, there are lots of “green” choices, right in your local supermarket or fish market. You’ll find them in the Complete Seafood Guide or the Seafood Best Bets on this website. With just a little knowledge, you can pick sustainable seafood and do the earth a favor. A “green” fish is much better for the environment than poultry or pork, and way better than beef! Want to help clean up the oceans and advocate for more environmentally clean fish farms? Contact any of these reputable organizations for information and ideas on how to pitch in. 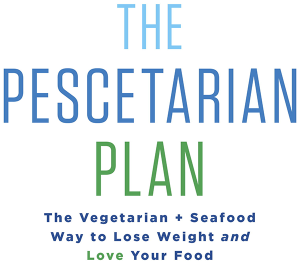 And if I’ve missed a worthy organization, please fill me in by emailing me at Janis@ThePescetarianPlan.com.